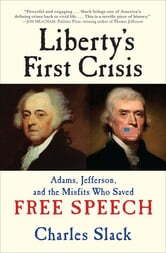 In 1798, with the United States in crisis, President John Adams and the Federalists in control of Congress passed an extreme piece of legislation that made criticism of the government and its leaders a crime punishable by heavy fines and jail time. From a loudmouth in a bar to a firebrand politician to Benjamin Franklin’s own grandson, those victimized by the 1798 Sedition Act were as varied as the country’s citizenry. But Americans refused to let their freedoms be so easily dismissed: they penned fiery editorials, signed petitions, and raised “liberty poles,” while Vice President Thomas Jefferson and James Madison drew up the infamous Kentucky and Virginia Resolutions, arguing that the Federalist government had gone one step too far. 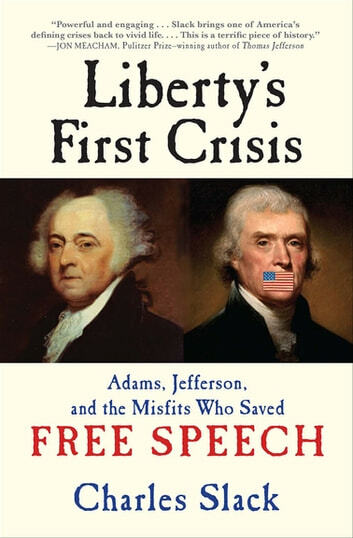 Liberty’s First Crisis vividly unfolds these pivotal events in the early life of the republic, as the Founding Fathers struggled to define America off the page and preserve the freedoms they had fought so hard to create.